Dr. Dennis Abbott, DDS presents international lecture topics that revolve around a simple belief: patients are more than their conditions or diseases. The oral cavity is the gateway to a total wellness approach of medicine that begins to address patients as people with complex and interconnected needs. His passion lies in the continued pursuit of bridging the medical and dental gap through an in-depth understanding of the oral/systemic health link. Dr. Abbott’s oncology-based wellness presentations have been tailored for dentists, physicians, hygienists, patients, survivors and caregivers. Dental Products Report talks with Dr. Abbott about oral cancer screenings & what your dental team can do to significantly impact the battle against this disease. Baylor Charles A. Sammons Cancer Center at Dallas & Dr. Abbott explain how dental oncology addresses the unique oral health needs of those individuals touched by cancer. Dr. Pat Allen of Spark 360 and Dr. Abbott discuss the relationship between oral care and the impact of salivary antioxidants. Dennis M. Abbott, D.D.S. is the founder and CEO of Dental Oncology Professionals (DOP), an oral medicine practice dedicated to care for the unique dental and oral health needs of individuals battling cancer. Inasmuch as the oral side effects of modern oncology therapies can cause intraoral sores, pain, and infections that can significantly reduce quality of life, DOP is committed to helping patients manage and overcome such obstacles so that cancer treatments can be continued according to schedule, proper nutrition maintained, and a high quality of life enjoyed before, during, and after cancer therapy.Dr. Abbott holds a Bachelor of Arts in biology from Rice University in Houston, and is an honor graduate of Baylor College of Dentistry. After dental school, Dr. Abbott studied immunology, microbiology, and oral medicine at the School of Dental Medicine, State University of New York at Buffalo. 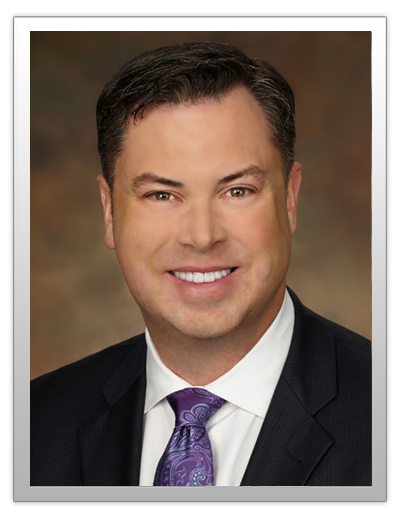 In addition to private practice, he is a member of the dental oncology medical staff at Baylor Charles A. Sammons Cancer Center and Baylor University Medical Center in Dallas. Dr. Abbott also serves as a consultant to the national American Cancer Society in the development of oral monitoring guidelines for post-treatment cancer survivors. Dr. Abbott draws upon years of education, training, and experience to deliver care to meet the unique oral health needs of patients battling cancer whether in his private practice or a hospital setting. Dr. Abbott presents talks across the United States and Canada ranging from information sessions for patients, caregivers, and survivors to multi-day continuing education seminars for dentists, physicians, dental hygienists, nurses, and hospital administrators. Trained as a research scientist, Dr. Abbott combines scientific techniques and practical applications to address real-world problems to benefit patients and add to the collective knowledge of dental medicine. Dental EZ and Karen Williamson, D.D.S., P.A. So I’ve Identified Oral Cancer…Now What? OK State Dental Hygiene Conv. Salivary Antioxidants and Oral Health: Does Topical Supplementation Help? Requesting a Lecture or Just Have a Question? If you would like to request Dr. Dennis Abbott, DDS for a speaking engagement, have questions about what we are doing, or would like to just share your story, we would love for you to contact us.